The ideal TV for hosting match nights with the lads, it sports the same 4k resolution display found on Toshiba's 55ZL2 and is expected to be out on display at the IFA show in Berlin this month. “The 4K display market is still in its infancy but it was important for LG to claim a stake in this space,” said Havis Kwon, President and CEO of LG Electronics Home Entertainment Company. In addition to a sharp 84-inch display, the LG UD 3D TV also sports 3D and Smart TV features, as well as a 2.2 Speaker System comprised of two 10W speakers and two 15W woofers. Announced earlier this year at the Consumer Electronics Show, its 4K display means consumers will have a resolution of 3840x2160 with eight million pixels per frame. Furthermore, customers can toggle between channels and manipulate volume controls simply by speaking into the LG Magic Remote, which comes with voice recognition. And if you're looking to spruce things up with some software add-ons, you're in luck. 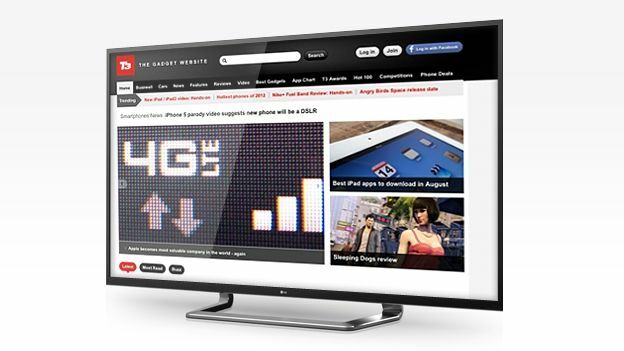 There's also over 1,400 apps available from the LG Smart TV platform. The TV costs 25m won (about £14,000) and will be available in Europe from September.